Verandas create the perfect area of relaxation outside your Log Cabin. 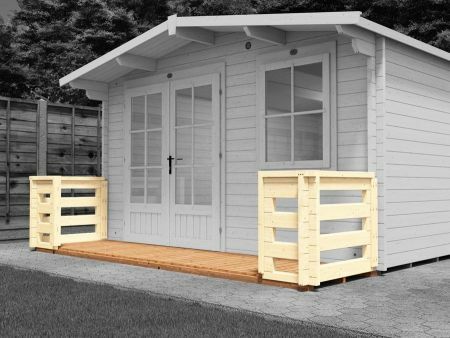 With decorative slatted balustrades and pressure treated decking this attractive addition is ideal for hosting BBQ’s and garden parties. So go on, invite round all your friends and family, break out the refreshments and enjoy!